Jennifer Howard, Ph.D., is the author of Your Ultimate Life Plan, which has won 12 book awards, including a 2013 Gold Nautilus Award, a Gold Readers' Favorite International Book Award, two USA Best Book Awards, a Silver Benjamin Franklin Award, and a Finalist medal in the ForeWord Book of the Year Awards. The distillation of her 20-plus years of experience as an internationally known life and business coach, licensed psychotherapist, energy healer, and spiritual teacher, this "workshop in a book" is the missing "how to" for moving past your problems and stepping boldly into your next, deeper level of happiness, wholeness, transformation, and success. Why settle for average when the potential to live an amazing life is inside you, right now? A recognized thought leader on psychology and spirituality, Dr. Howard is a Huffington Post blogger, the host of a weekly radio talk show, A Conscious Life, and has appeared as an expert on numerous national network television and radio shows on CBS, NBC, ABC, USA, CTV, NUVO TV, News Channel 12, and NPR, among others. A life and business coach, professional speaker, and co-founder of The Healing Path Center, Dr. Howard maintains a private practice with offices in New York City and Long Island, and has an extensive phone practice. 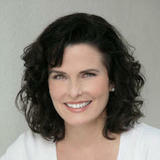 Dr. Howard is offering a free downloadable MP3, Begin Reaching Your Goals, when you subscribe to her free ezine. At her website you can read articles on personal growth and spirituality, gain access to the online Virtual Meditation Room with guided and visual meditations, and more. Visit http://www.DrJenniferHoward.com. Two Free Chapters from "Your Ultimate Life Plan"
"The most radical change is to accept ourselves right where we are." -- Dr. Jennifer Howard.